Delicious and exotic sparkling strawberry punch with schisandra berry! What’s quite different about this strawberry punch recipe is that it’s blended with schisandra berry! 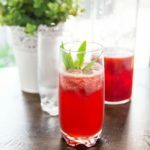 A few weeks ago, I shared my Omija tea (schisandra berry tea) recipe and I believe today’s recipe is a great variation to that! Schisandra berry is known as five flavor berry as it has five different unique flavors – sourness, sweetness, bitterness, pungentness, and saltiness, all at the same time. 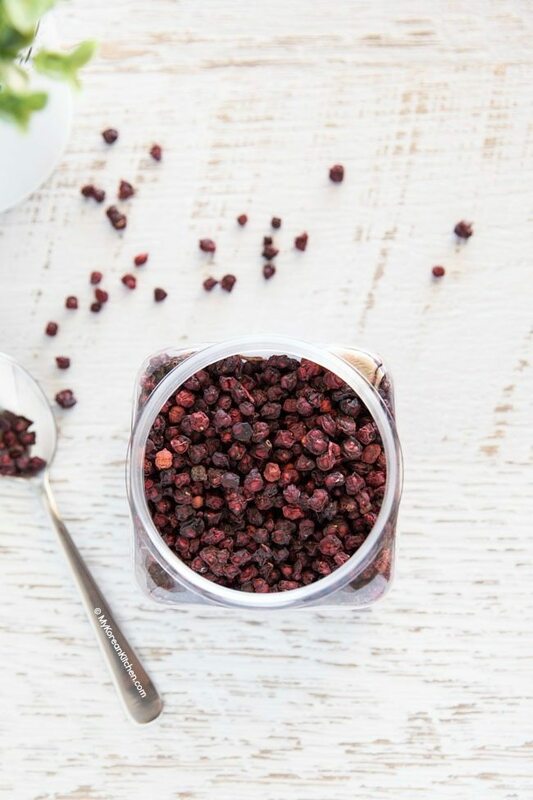 I know many of you already bought some schisandra berries after I shared the tea recipe, so this recipe will be a great bonus. Hope you try it soon! It’s a fancy drink that will impress your guests at a party. Certainly a great conversation starter! Enjoy! Steep the dried schisandra berry in the water overnight. Strain the berries and discard. Set aside the water. Mince strawberries with a masher or fork, then combine it with the honey. Combine the strained water (from step 1), strawberry and honey mixture (from step 2) and carbonated water in a jug. Add some sugar syrup to your taste. Stir well. 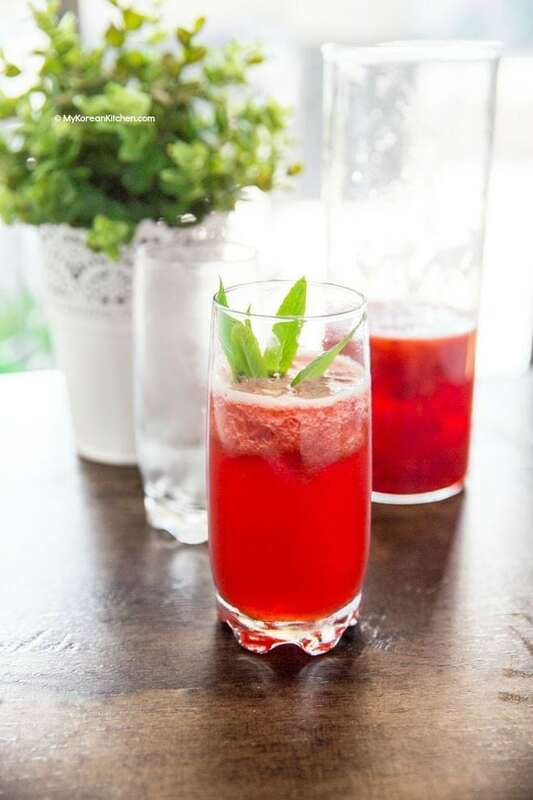 Serve in a chilled glass then garnish with mint leaves (optional). 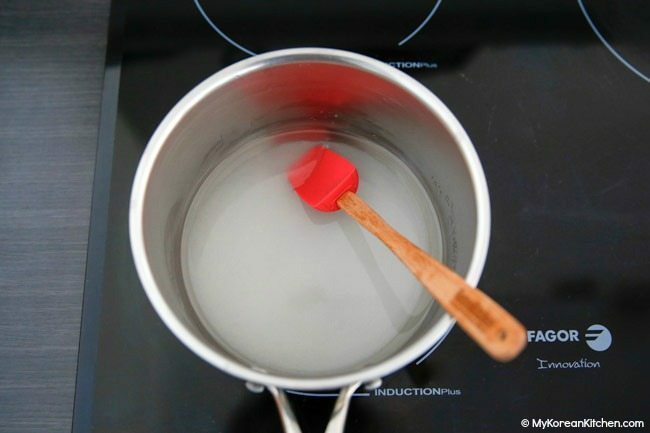 Combine the water and sugar in a saucepan and boil them over low heat until the sugar dissolves. Cool down. 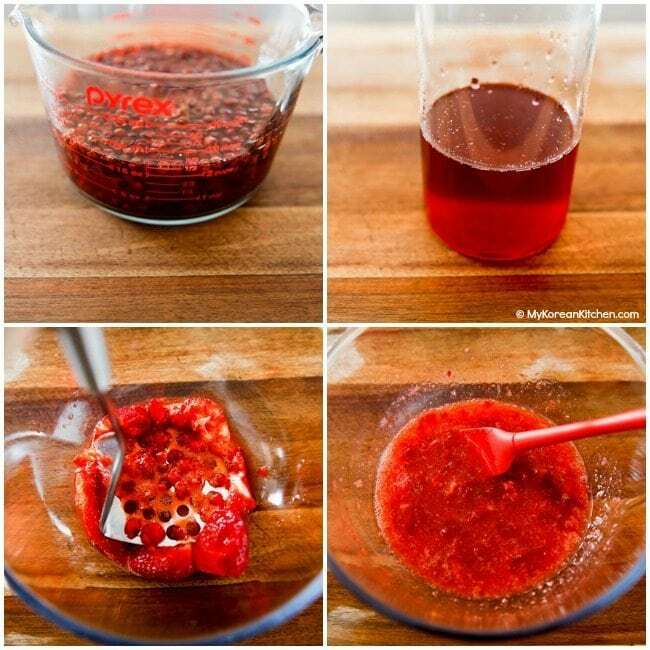 Mince the strawberries with a masher or fork, then combine it with the honey. **Prep time does not include inactive time - steeping berries in water.